What is a Payday Line of Credit? You think you’re looking for a personal loan – but this is even better. A payday line of credit gives you preapproved access to a specific amount of cash, from which you can draw when you need it without the hassle of applying for credit every time your budget falls a little short. It works like this – let’s say your budget is short just a couple hundred dollars this month. Simply request the funds and they’ll be in your bank account as soon as the next day. A payday line of credit application is as easy as 1-2-3! All you need is your basic information – name, address, phone number, driver’s license number, things like that – and info about your employment and income. Finally, providing your bank account number allows the funds to be deposited directly into your bank account when you need them – no check to wait for or deposit. Best of all you can apply for a payday line of credit at literally any time of the day or night – lenders are available 24/7 to approve and process the requests. 24/7? How Does that Work? The internet never closes, and neither does the payday line of credit loan application! Thankfully the lenders don’t either – someone is always available from the various lending partners to make sure that your application can be approved as quickly as possible. In just about 90 seconds from when you click “submit” you’ll receive an offer right in your browser – which you can sign electronically, so there’s nothing to print, fax, upload or mail. Once you withdraw funds from a payday line of credit, naturally it needs to be repaid – it’s a loan after all. So here’s how easy that is. The borrowed amount will be paid via direct draft from the same bank account it was deposited to, on your next payday. Need more time? Just contact the lender and arrange an extension. 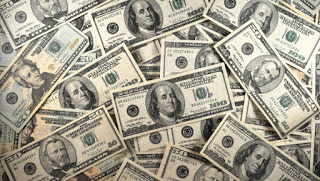 Need more cash the following week – or the week before? Just request additional funds – they’ve already been approved! 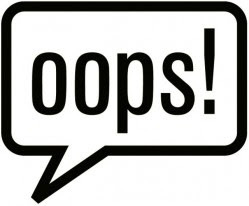 Don’t Make These Mistakes on Your Application! Want quick, easy approval? Here are a few things you don’t want to do when you apply! • Make sure you qualify for a payday line of credit! The requirements are simple but non-negotiable: to be approved a person needs to be at least 18 and a US citizen, have a job earning at least $1000 per month, and a bank account that can send and receive electronic payments. • Is your driver’s license valid? An expired or otherwise invalid license will cause an application to be declined. • Double check your bank account number! An incorrect number can derail an application’s funding. • Are your pay dates, employer’s name and phone number, and other data free of errors? Proofread! This time of year can get hectic for everyone, so if you find yourself looking at the calendar wondering how it got to be mere weeks from Christmas and you haven’t started shopping yet, you’re definitely not alone! It happens to more people than you would think. And if the reason you haven’t started shopping is because you haven’t saved up the money yet, well, you’re not alone in that either. 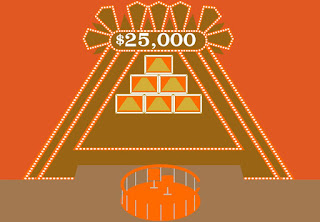 That’s where an online holiday cash advance can come to your rescue. The fact that the entire process is conducted online is a big part of what makes it fast – really fast – so you can head to the mall as soon as the next business day. Just start with the link to the website, fill out the brief application form, and once you click “Submit” your info will be sent to our dedicated network of lenders who will match you up with the best loan product to meet your needs and your budget. Someone is always on duty to evaluate your request, so unlike a traditional loan there’s never any waiting while that one person you need is out of the office or busy with other clients. Speed of approval is one of the big differences between an online holiday cash advance and traditional loans, but it’s not the only one. Another is that it doesn’t matter whether you have good credit, bad credit, or no credit – because the lenders will most likely not even run a credit check at all. That’s because they understand that it takes an exceptionally long time to rebuild credit, so a minor error in judgment or going through a difficult period in your financial life can quite possibly keep you from obtaining traditional credit for many years, long after you’ve straightened things out, gotten your bills current, and shown yourself to be a model citizen. They want you to have the same chance as those who didn’t go through what you did, so they have created their own approval criteria system based on factors they consider to be important right now. In addition, there will be no request for credit references, collateral, or a listing of personal monthly expenses. 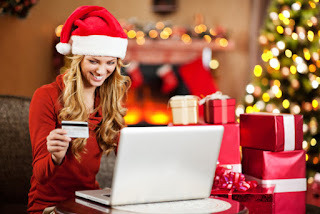 How Safe is an Online Holiday Cash Advance? It’s natural to be concerned about sending our personal information out onto the internet – we’ve been warned over and over again how dangerous it is to do so. And there are frequent reports of personal information and passwords being hacked from large popular web portals – so is it safe to apply for a holiday cash advance online? Let’s look at it another way – how do you check your bank balance these days? Do you go to an ATM, or call the bank, or go by your checkbook register and double check that against your bank statement that comes in the mail every month? Even the most cautious among us have become accustomed to using online banking – and most of us also shop and even pay our bills online. This is no different, and uses the same type of encryption technology to keep your data safe as those other sites do. So don’t delay! 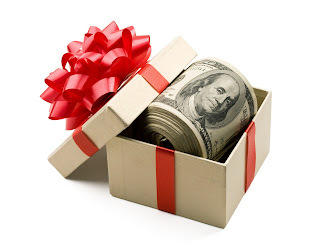 Apply for an online Holiday Cash Advance today! Everyone needs extra cash around the holidays, and a lot of us aren’t so great at saving up during the year. Ideally we’d set up a special savings account and set aside a little bit from each paycheck, but the reality is that even if we do manage to save money during the year it’s not always still there at holiday time. Every season of the year has its own extra expenses – the start of school, summer vacations, new clothes – so if you’re looking at Christmastime and wondering where the money for gifts and celebrations is going to come from you are definitely not alone! 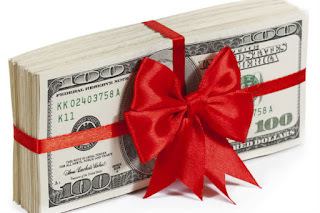 What you need now is NationalCashCredit.com, offering the best online Christmas cash advance loan available – one that’s easy to apply for and provides fast approvals, cash in hand as soon as the next business day and clear affordable repayment terms. There are dozens of reasons for needing extra money around this time of year – some are for extra expenses such as gifts and travel, while others are more typical seasonal changes in cash flow. Depending on your job and where you live, this is a very slow time of year in some types of business and hourly employees’ hours are often scaled way back. Meanwhile, it’s time to winterize homes and cars, buy new cold-weather clothing, coats, and boots, and so on. If all your extra cash has gone into necessities, what’s left for making sure that holiday celebrations go off without a hitch? Especially if you have kids living at home, Christmas is something that can be economized but never ignored. 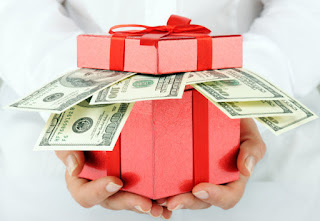 Christmas cash advance loans let you borrow against your next paycheck or two in order to make sure that you have the cash you need for family visits, presents and other holiday-related expenses. Short-term loans have reputation for being pricey, but it’s all about the math and working out your alternatives. Clearly if you have savings in the bank it makes more sense to use that cash rather than taking out a loan, but what about compared to using credit cards? What if you delay some bills and use that money and pay the utilities or other bills late just this one time? Or just try to budget very carefully and use the funds you have without overdrawing your bank account and incurring overdraft fees? Take a look at how much you’ll really need – what will you realistically spend – and first look at what that would cost you to borrow that amount in an easy Christmas cash advance loan. Then look at your budget – can you cut that much? How much will the late fees be if you choose to forego bills in favor of Christmas? And it will probably take only one or two overdraft fees to exceed what a loan would cost. Even credit card use costs more than it looks like it will, because it’s so easy to make minimum payments, or even just a little more, and end up paying interest for many months or even years, instead of the single month of interest that a Christmas cash advance loan would cost! Take advantage of this opportunity and apply today! There are a few states, where the lucky residents pay no income taxes. These include Alaska, Florida, Nevada, South Dakota, Texas, Wyoming, and Washington. That may change for some residents in Washington, though, and that means more people could be in a position to take advantage of income tax loans. The vote in Washington would add a 1.5 percent household income tax for residents of the state capital of Olympia earning a certain minimum income. The move is set to go to the vote and the revenue if it passes would be put to use for public college tuition for graduates of the city’s public high schools. The residents of the state have already rejected statewide income taxes multiple times. How this vote will go remains to be seen, but it could mean that more residents could use income tax loans. 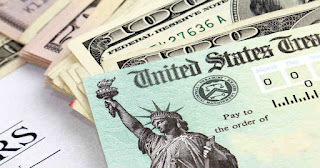 What Are Income Tax Loans? Our lenders offer a variety of personal loans, and that includes income tax loans. These loans are always available, because tax payers sometimes plan ahead and file early or they get extensions and file late. The loans are actually based on income, paycheck, job history, and a few other factors, but knowing that a tax refund will eventually be on the way helps many borrowers feel more comfortable about borrowing. You can use your tax refund check to repay the loan and totally erase the debt. Applying for and getting approved for income tax loans, whether you live in Olympia, Washington or anywhere else, is really easy. You can apply at any time, and from nearly anywhere. All you need is your smartphone. Use our convenient mobile app and you can apply in minutes, even when you’re riding the bus to work. The next steps are all up to your lender. As soon as we get the information from your application, we match you with a lender and that professional gets to work approving your loan and transferring the cash to your bank account. Most borrowers end up getting the cash by the next morning, so when you apply for income tax loans, you get the money you need sooner than you would with any other kind of loan. 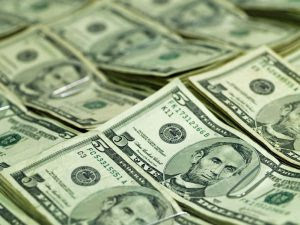 Washington residents may just get a new and easy way to borrow money, a possible upside to having a new income tax on the books. 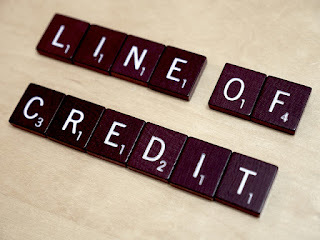 What exactly is an online line of credit loan? Traditional loans are a simple three- part process: application, loan, repayment. The consumer decides they need some extra cash and applies for a loan – that’s step one. Step two is when the lender evaluates the person’s qualifications and decides to make a positive determination and issues a check or deposit for the funds. The recipient then repays the loan amount plus interest, and the transaction is complete. With an online line of credit loan, step one is the same but steps two and three are a little different. 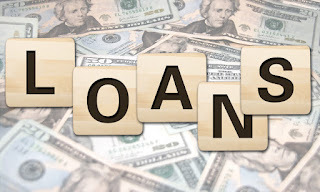 Instead of delivering the whole loan amount to the borrower, the lender makes a maximum amount available, from which they can withdraw all or part at any given time. Regular payments are made whenever there is any outstanding balance, and principle repaid goes back into the pool of available funding from which they can borrow. In this way it’s similar to a credit card – you use part of the available funds, make payments, and have the remaining amount as an “available balance” at any given time. Can I get an online line of credit loan if I don’t have a great credit score? You absolutely can. Unlike credit cards, mortgages, and most personal loans, the lenders who offer online line of credit loans do not depend on your credit score in order to determine approval. They realize that many of us have had a difficult financial period in our past, or made a youthful miscalculation that resulted in our damaging our credit score – and that credit repair is a difficult and most of all show-moving process. Since the seven-year clock resets every time any action is recorded on an account, it can take a virtually unlimited amount of time for the negative information to age off and disappear. Instead of counting on the “big three” credit bureaus to let them know whether or not a potential customer is a good risk or not, this group of lenders devised their own proprietary set of criteria which depend on current circumstances such as employment, income, and others, rather than on your credit score. This opens these loans up to a much wider pool of individuals – almost everyone has a great chance! What kind of things can I use an online line of credit loan for? Use these funds for anything you want or need! Perhaps the annual car insurance bill just came in and you’d forgotten it was due, and didn’t budget for it. You might need plane tickets for a holiday trip home, or a little extra cash for a school trip for your child. Or possibly you work one or more hourly jobs and for seasonal or other reasons you haven’t been getting as many hours as usual – that can throw a wrench into anyone’s budget, but an online line of credit means that whether you need a little cash to get by or a lot to cover a repair or an emergency, it will be there – preapproved – ready and waiting when you need it! 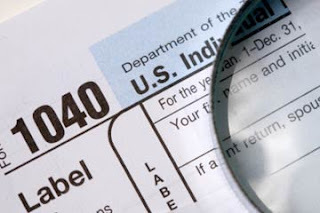 Don’t make the mistake of thinking that tax loans are limited to January through April 15. You can get income tax loans now, without waiting until after you file. If you use a tax preparation service, they may offer you a loan, but you should know that it isn’t your only option. Right now, regardless of the status of your taxes, you can get an income tax loan to help pay the bills. You have bills to pay and other expenses, so you don’t have the luxury of waiting until your taxes are in order and filed. You need money now and we don’t see any reason why you shouldn’t have access to it. Even if you haven’t filed yet, you probably have a good idea of whether or not you’ll be getting a refund and how much it will be. With that knowledge you can confidently apply for these income tax loans now, and you can benefit from having the extra cash on hand when you really need it. Don’t wait until your money problems become overwhelming, especially when cash is available now. Not only are we offering income tax loans now, as well as during tax season, we offer the easiest and most convenient way to apply: with a mobile app. Everything is mobile these days, so why shouldn’t borrowing money be easy too? You probably have your phone on you everywhere you go, so simply open up the app any time you feel like it’s time to borrow some quick cash, fill out a little bit of information, and you’re done. Within minutes you’ll have a lender approving your application and getting to work on transferring the money to your bank account. Getting extra cash is always helpful. Whether it’s used to pay regular bills, to cover unexpected expenses, to cover the holidays, or just to treat yourself and your family, getting income tax loans now just makes sense. You get the cash you need through an easy, simple, and quick process, and you don’t even have to file your taxes. Save that for later and get cash now. You won’t regret taking advantage of this service that is always available and that will make your life easier. 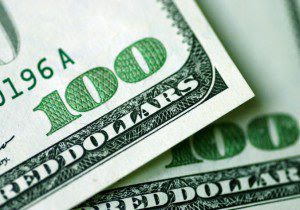 Where can you get 1 hour payday loans, the fastest of all loans, with no credit check required? You can get them right here. These lenders work around the clock to provide quick loans to people who need them and they don’t disqualify borrowers based on credit score. If you have been looking for the best loan around, the one that could provide you with cash tomorrow and that won’t care that your credit score is questionable, look no further. Well, the lenders can’t exactly provide you with instant cash, but you can count on the fastest loan anywhere when you rely on them. From the time you open the app on your phone or other mobile device to apply for the loan, to the time you have an e-signed loan document to make it official, you will wait no more than an hour. No other loan service, especially not your bank, can do this so quickly. Imagine going to your bank, filling out the forms and waiting for an answer. Just waiting in line and getting the application, then completing it will take at least an hour. After that you will have to wait for the bank to review your application, scrutinize your credit, and then maybe, but probably not, approve your loan. 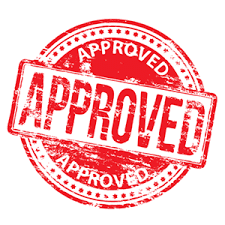 If they do approve it, you will probably be offered the money with huge interest and a long repayment term. How can our lenders to this so quickly, if the traditional financial institutions need to take days to approve lenders? For our 1 hour payday loans, no credit check, plus an online and mobile application process, means less red tape. And that means you get your loan and your cash faster, much faster. By the end of one hour, you will have an approved, official loan. By the next morning, for most applicants, you will have extra cash waiting in your bank account for you to access it and use it. By not making credit check a necessary component of approval for the loan, our lenders need nothing more than the little bit of information about you and your job history and income that you supply on the application. 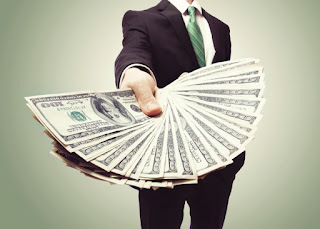 You get 1 hour payday loans, no credit check, and fast cash. You can’t lose with these loans. Before you take the move to borrow money, make sure you know what you’re getting into. Be sure you understand your options and can make the smart choice about lenders and loan services. One great option you have is Liberty loans. To understand everything this loan service can do for you, read on as we explain the benefits. The best thing that Liberty loans can do for you is get you cash for anything. What are your other options? We know there are other ways to get cash, but these are mostly not ideal. Banks are picky about approving loans, they take a lot of time, and they mostly only lend large amounts of money. Borrowing from friends or family may be an option, but it’s embarrassing. If you need a few hundred to a few thousand dollars to pay the bills this week, to travel for a family emergency, or to buy groceries, Liberty loans can provide the cash. Most lenders take a lot of time to get you a loan. They have lengthy application processes; they have strict requirements you have to meet; they even take a lot of time to decide on approval and to hand over the cash. With Liberty loans you get the opposite. 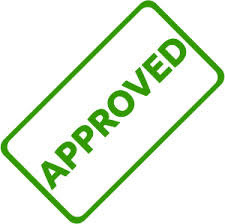 Approval happens in less than a minute and a half in most cases. And, the cash should show up in your account the very next morning as long as you apply on a business day during regular hours. Liberty loans can also give you a loan that is stress-free when it comes to getting approved. Most lenders want to see your credit score and either will reject you or give you a high-rate loan if your score is low. With Liberty loans you won’t be disqualified by a low credit score. In fact, you probably won’t even have to give up that information. These lenders are more interested in your income and your job. How is this loan the best lending experience? You get a loan that doesn’t rely on your credit score. You get a quick and easy application and approval process. You get cash for whatever you need, when you need it as opposed to a week later. On top of all of this you also get to work with the best lenders in the business who are dedicated to providing hardworking people like you with information, great service, and most importantly, quick cash. Budgeting for the holidays is hard! It would be easier to save up the extra cash we need for all the celebrations and travel and special expenses if this time of year weren’t immediately preceded by the costs associated with Back to School season – which followed summertime, trips to the beach, camp for the kids… in other words, we understand that there’s always something happening in our busy lives, and it’s too easy to spend on more urgent needs rather than save for ones that feel far away. Holiday cash loans can help you make up for lost time, by allowing you to borrow against your next paycheck – spend January’s money in December to make sure that Christmas is everything you want it to be, and make some great memories to carry into the new year with you! 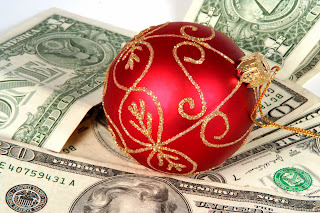 How Are Holiday Cash Loans Better Than Traditional Personal Loans? When you apply for a personal loan from a bank, there are a lot more hoops to jump through right from the get-go. Some banks still use paper applications that need to be brought to the bank branch and discussed with a loan officer. Many have a long list of monthly expenses that need to be itemized on the application – which is both time consuming and intrusive to provide. They always ask for credit references and run a standard credit check, which weighs heavily on your chances of approval. 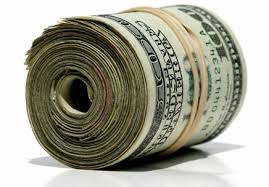 Holiday cash loans, on the other hand, reduce the red tape to an absolute minimum. The application itself takes only a few minutes to complete, and it’s all done online so you never have to go out of your way or change your schedule to accommodate someone else’s office hours. Lenders are available 24/7 to approve your request and process the disbursement – they move so quickly you can have the terms agreement in hand within two minutes ready for your signature, and funds deposited to your bank that very same day. 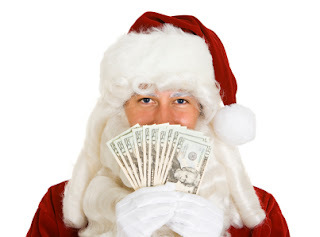 Get Holiday Cash Loans Even With Bad Credit! It can be hard to get through the holidays without credit cards, but if you’re one of the millions of Americans living with damaged credit – quite possibly through no fault of your own – that might be exactly what you’re trying to do. Banks won’t consider you for personal loans, credit cards turn you down – what can you do when you need just a little extra cash to get through the holiday season? Holiday cash loans allow you to borrow against your upcoming paychecks, and you can be approved without a traditional credit check! The majority of our lenders choose not to use the standard credit score as part of their decision criteria, instead depending on their own set of standards that depends on current circumstances rather than an algorithm calculating a numerical score based on seven to ten years of financial and payment data. 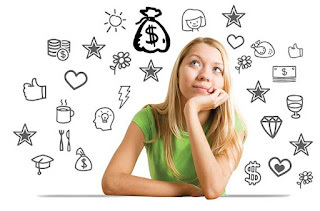 A lot can change in a person’s life in seven years, and just because you might have gone through difficult times several years ago says nothing about your life or finances today. 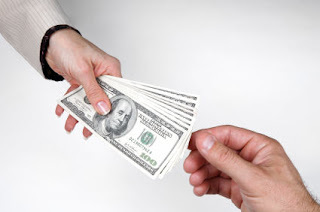 How To Get A One Hour Loan When You Need Cash Fast! Nearly everyone qualifies for fast one hour loans, but not everyone is approved the first time they apply. When you’re cash strapped and need extra funds right now, for repairs, medical bills, or just to make ends meet until payday, you don’t want to make one of these costly, time-wasting errors! All of them boil down to the same thing in a way, which is that it’s important to be careful and pay attention to detail – but if you do you can have the cash you need as quickly as tomorrow morning! • First, be sure you’re aware of the basic requirements for one hour loans. There are only a few – applicants must be at least 18 years old and a citizen of the United States, meet the minimum income requirements, and have a bank account in their name which is able to accept both electronic deposits and drafts. If any of these is not met, then the one hour loan isn’t a suitable choice for that person at this time. • Carefully note the minimum income requirement. This is a non-negotiable. You might be earning the income needed by working two jobs, or several part time jobs, and that’s no problem as long as the income is verifiable. Since the amount of funding you can be approved for for a one hour loan depends largely on your income, if you’re below the minimum the lender will not be able to approve you for any at all. • It’s very important to double check you entries! Since there are so few questions and requirements, it’s vital to provide accurate information that doesn’t raise any red flags. For example, if there’s a typo in the address or phone number of your employer, the data won’t verify and the lenders will be unable to approve your one hour loan even if it was just an honest mistake. So review every entry you’ve made before moving forward. Can Someone With Bad Credit Be Approved for a One Hour Loan? Credit score is no object when you apply for a one hour loan! If you’re living with credit that was damaged due to going through a difficult time, or maybe even through circumstances and no fault of your own, you’re probably concerned that you might find yourself in dire need of quick cash but won’t qualify for a short term personal loan. 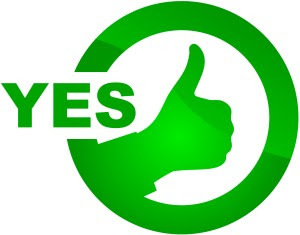 If that’s the case we have some really great news for you – the lenders who work with one hour loans have elected not to use the standard credit bureau reports in their decision process. Instead, their criteria include your current income from your job or jobs, your employment history, and similar current life circumstances. The fact is, the standard credit report tracks seven to ten years of your credit history, including accounts opened and closed, any lateness of payments, collections, and of course bankruptcies – but how much of your life has changed in the past seven years? Even five, or three? There’s a network of lenders that agrees with you that it’s unfair for a person to be held responsible for events that happened so long ago – and thanks to them you can apply for a one hour loan today and have the cash you need waiting in your own bank account tomorrow morning! Most people find themselves in this situation, sometimes often: You have a certain income, a paycheck to cover all your costs for the month. You think it should last, but then what happens? The water heater breaks, the kids have school fees you didn’t know about, and the price of gas goes up. The next thing you know, your budget is blown. How are you going to make it to the end of the month and your next paycheck? 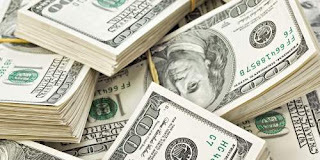 Try quick cash loans. 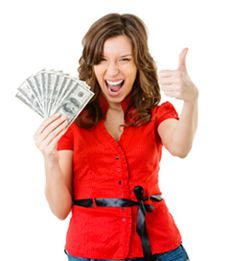 You need money to keep you going until the next paycheck, and quick cash loans can be the answer. Even though your bank account has run dry, you still have bills to pay. You have the phone bill, the rent, and you still need to buy groceries so your family can eat. 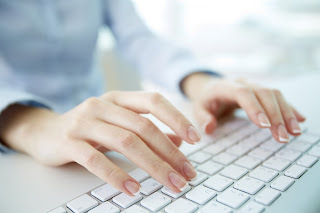 With quick cash loans, you have an easy source of money that you can use until payday comes around. And this money is fast, so you don’t have to spend days stressing about it and trying to figure out how you’ll buy food and other necessities. Not having enough money is stressful. Getting the money you need to tide you over until payday shouldn’t be. Applying for quick cash loans is so easy. You can do it in minutes and let us pick you a lender who will take over and do all the rest of the work needed to get cash into your bank account. Getting approval is simple too, so don’t stress over a bad credit score holding you back. All you need to prove is that you have a job and can be responsible for a small, personal loan. 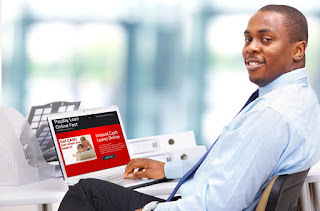 Now that you know how to take care of your financial problems this month, how will you spend your quick cash loans? Use this money in any way that you need to. Use it as you would the rest of the money from your paycheck if other expenses hadn’t caused you to run short. Pay the rent, get your car repairs paid, make sure your pantry is full for the rest of the month and that you can buy your kids’ school lunches, and cover your utility bills. 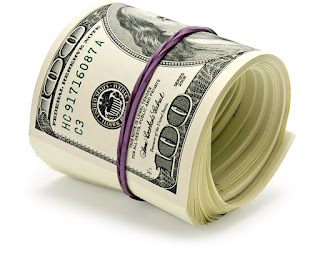 Your quick cash loans money is there for you for anything. There’s a Faster Tax Refund Loan – Apply Now! Borrowing against your income tax return used to be complicated, and could take up to two weeks to get the check! That’s changed, but so have the options available that are faster and better. Instead of having to have your tax refund prepared by the company offering the loan, you can now get an advance on your refund no matter how you file – or even if you haven’t filed yet! An online tax refund loan is the simplest, fastest way to get quick cash when you need it - and best of all it’s your own money. Most loans are borrowed, repaid, and that’s the end of the transaction, but with a tax loan you get the money back again after repaying it! It’s true! You don’t need a full sized computer or even a laptop to apply for a tax refund loan. Technology is advancing at such a rapid pace, and phones are getting so very smart, that many of us are using our phone as our primary computer for many day to day tasks. Keeping in tune with these advances, the developers behind the scenes have made sure to keep up and improve the website to be “responsive,” a term used for websites that adapt to the type and size of screen they’re being viewed on, and look as clear and easy to read and navigate on a phone as they do on a standard monitor. All you need to do is direct your browser to the website, click the link to the application, and complete it as you would any other online form. 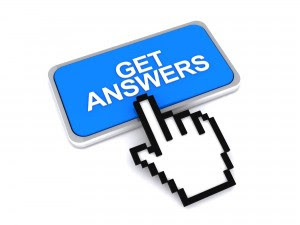 The questions and text boxes will all be clear and easy to read and understand, unlike some websites that aren’t specifically designed to be phone-friendly. You’ll have it done just as quickly as you would on a regular computer and keyboard, and approvals will come in just as fast! But Is It Really Safe To Get a Tax Refund Loan Online? Income tax refunds are just the latest of many financial services being successfully and safely conducted via the internet these days. The evolution has been gradual but steady. First came ATMs and withdrawing money from a machine using a plastic card. Then we all got used to the idea of having our paychecks deposited directly into our bank accounts instead of provided to us as a paper check. In the 90s “check cards” became commonplace, and making purchases with a card that withdrew funds right from our bank account began to overtake the use of cash. As more of us began to get internet access in our homes, we began to do our banking online – and that’s when it really got interesting. Checking an account balance on our computer was simple enough, but what about paying bills? That took some getting used to – trusting that the funds would go from their source to their destination without error, and that you’d be properly credited – but we all do it now quite routinely. Making purchases online, using our bank account number or credit or debit card, are so commonplace that we can hardly remember what it was like not to be able to do so! Receiving a tax refund loan online is hardly any different than that, because the exact same type of security is used for loans as is used for banking and purchases. Secure encryption makes sure that the information can’t be accurately captured in transit, whether you’re paying the electric bill or applying for a tax refund loan! 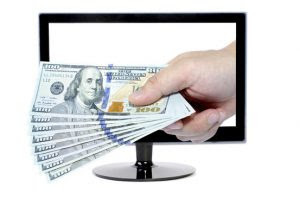 Are Safe Online Loans for Real? We do so much online these days, from shopping to banking. We have to type in credit card numbers, birth dates, maiden names, and other kinds of identifying information that can make us vulnerable to identity theft. So is there really such a thing as safe online loans? Can you really borrow online and stay safe, or is the convenience-risk trade off not worth it? The good news is that, yes, these loans are for real, and you can have one today. The big draw for getting loans online is that it’s so convenient. Imagine getting the cash you need by doing nothing more than filling out an online application or using a mobile app for a few minutes. That’s all it takes to get a loan. 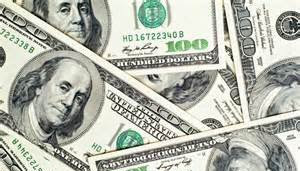 The lender does the rest of the work of getting cash to you. There is no need to get in your car and drive anywhere and you can even apply any time of day or night. Why trade this convenience for security? You don’t have to make that trade because we can offer you both, security and convenience. To have a loan that is safe online means attacking security from all sides. It’s not enough to do just one thing. We do it all to ensure that you feel safe. It all starts with our lenders. They are the best and most professional lenders in the business. Next we use the most advanced encryption software available to deter hackers, and we promise to never sell your information to a third party. It goes to your lender only. The final step is to get rid of your information so it isn’t lingering online to tempt a thief. We delete application information once the loan goes through. What does it take to get safe online loans that are also convenient? It doesn’t take much. Just get online or pick up your phone and fill out the quick application. Trust us with your information and we’ll get a lender to approve your application in just minutes. As soon as tomorrow morning you could have that cash in your bank, ready to be withdrawn and used for whatever you need. Get the best of both worlds by taking advantage of our safe online loans. A loan in 1 hour sounds like a pretty great deal, right? It almost sounds too good to be true, but that may be only because you don’t fully understand how this kind of lending works. 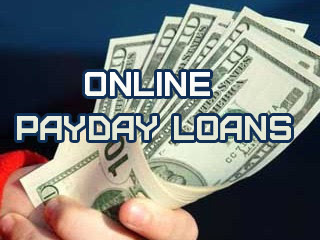 It’s an online payday loan, which means that it is the fastest way to apply and get approved to borrow cash. Here’s how it all works. The first step in getting a loan in 1 hour is to apply. All you need to do is go online, access the application, fill in a few details about you and your income, and click to submit it. From there, you let a lender do the rest of the work. Alternatively you can simply pick up your phone or tablet and use the mobile app to apply. This gives you another level of convenience. Anywhere you have a signal, you can apply. And you can do it at any time of day too, any time that is most convenient for you. Your application goes right to one of the great lenders in our network. We select these lenders carefully so you only work with the best, most professional lenders available. The approval process takes about 90 seconds. That’s all you need to wait to find out you’re approved for a loan in 1 hour. To make it all official, your lender will need to get you the loan document. This is easy because you can e-sign it, so you don’t have to meet with an actual person. You can get it all done online. And the best part is you can go from applying to official loan in 1 hour or less. If you apply during typical business hours, you will get your cash the very next day. Your lender will transfer it directly to your account and the bank needs time to process it and make it available. Once that’s done, you have the money from your loan in 1 hour. So, is a loan in 1 hour really possible? It is, and you can have it today if you take the couple of minutes needed to apply. A few minutes of your time is all that’s needed, and your lender does the rest of the work to get your cash to you faster than anyone else will. How Many Places Can You Get Loans To $25,000? You may not need that much, but if you do, there’s one place to get it – FirstLibertyLoans.com! 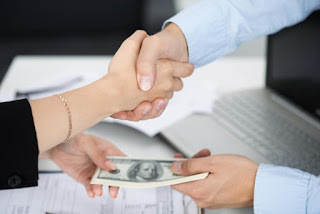 You might expect it to be a complicated, time-consuming process, but it actually works the same way as any other short-term payday loan application and approval. There’s a simple, straightforward online application form that you can access online twenty-four hours a day. 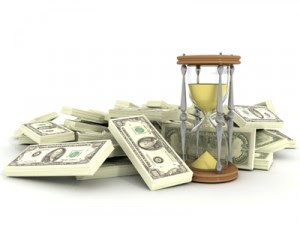 Lenders are available around the clock to approve applications and take care of all the details in order to get the funds to borrowers as promptly as possible. Are creditors or medical providers threatening legal action? Do you have a business opportunity that requires more cash than you have on hand or could quickly save – but shows every sign of earning the investment back rapidly? Apply for short-term loans up to $25,000 to use for whatever you greatest need might be, and have cash in hand quickly and easily with a bare minimum of paperwork and complications. Do I Need Great Credit To Get Loans to $25,000? Believe it or not, you don’t! The lenders who work with these loans understand that there are many reasons that someone might have a damaged credit score; information remains on a person’s credit report for seven to ten years, and a lot can happen and change in a person’s life in that time. Instead of accepting the credit report as the last word on whether or not someone deserves to be given a chance or not, these lenders designed their own set of criteria based on current circumstances and relevant factors such as recent employment history and income. Just because financial matters got the better of someone once – often through no fault of your own, such as those whose livelihoods or homes were lost in the economic downturn that occurred around 2008 – doesn’t mean they should have to carry that forever, which is why with this program you can get loans up to $25,000 from lenders who believe in second chances. It shouldn’t be a secret really, but it’s astonishing how many people are declined for loans due solely to factors completely within their control! Like Dorothy in the land of Oz, it was in their power all along to make it right, and all they needed to do was proofread their application. Applicants for loans to $25,000 are declined every day not due to bad credit, not due to insufficient income or a problem meeting any of the basic requirements for the loan itself, but because they typed in their bank account number wrong! Or perhaps they switched around two digits on their employer’s phone number, so it wasn’t able to be verified, or misread the calendar and listed their next payday as being on a weekend. Any of these things can throw a very large monkey wrench into an application even if everything else is perfect, so this illustrates how important it is to read over the application form before clicking submit. Even if you’re sure you have it right, check your employer’s website to be certain you have the official address and phone number right, and triple-check your bank account number – it will be worth it to make sure your loan is approved right away on the first try! Everyone thinks of tax season as the first few months of the year, but if you’re smart you keep taxes in mind all year long. If you have an extension this year, or even if you are a fan of planning ahead for next year, you can still take advantage of a tax refund loan, one of the easiest and fastest ways to get cash. It doesn’t matter when you think your actual refund might be coming, you can get this cash now. How Does this Tax Refund Loan Work? 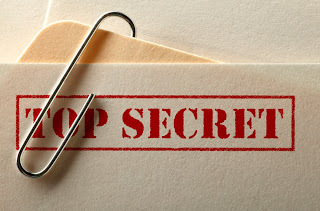 The real secret behind a tax refund loan is that it is based on your paycheck. 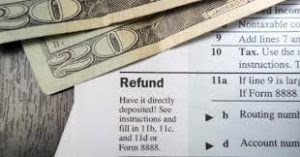 It’s nice to know that if you have a refund coming that you can rely on that cash to pay back your loan, but it is not a prerequisite for getting approved. 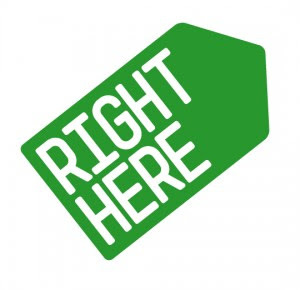 All you’ll need to do is show us that you have a regular job with an income that meets a minimum requirement, which is easy to achieve, and we can set you up with a lender who best matches your needs. This makes getting approved for the loan really easy. Yes, you do, because it takes just a few minutes. You can even use your mobile device to apply. You don’t have to go hunt down a computer, fill out any actual paperwork, or wait in line anywhere to get this tax refund loan. Just open up the mobile app, spend a couple minutes filling it out, and your lender will do the rest of the work. You can take care of it from anywhere, thanks to our mobile app, and you can do it at any time. We have lenders at work 24 hours a day for your convenience. How Safe Is a Mobile Tax Refund Loan? It is very safe. You can count on our network of lenders because we work with only the best and most reputable. You can also count on our encryption software to keep your personal information safe from any intrusions and we will delete it all completely once you and your lender have made the loan official. A tax refund loan doesn’t have to be safe or convenient. It can be both. We have made sure of that, so don’t hesitate to get started today. 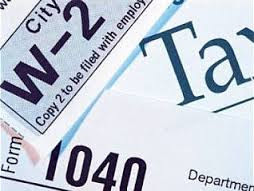 Gone are the days of having to find a tax preparation office, deal with traffic, parking, or even taking time off work. You pick the time, you pick the place – your home or anywhere else you have an internet connection – and the computing device of your choice. It’s all up to you! 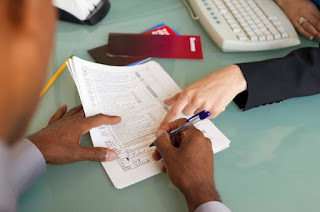 Tax preparer-initiated loans take time for the application and paperwork, more time for your return to be approved by the IRS before your loan can be initiated, and then more time before you can pick up a check at the office and deposit it to your bank. Online income tax loans take just minutes to apply for, ninety seconds for approval, and most of the time there will be cash waiting in your bank account by the morning of the next business day. What could be faster? 3. Not ready to file your taxes yet? Don’t! You can still get an income tax loan. The big chain preparers require that you have your return prepared by their office, or at least electronically filed there, in order to provide a loan. And even then the funds you receive will be less than your refund, since fees and interest are deducted first. By contrast, you can apply for income tax loans at any time, even before you’ve filed your return. The cash amount received will be the full amount requested, or the amount you’re qualified for, with no fees or interest assessed until repayment. 4. No paperwork – no hassle! Income tax loans using an online application don’t require the piles of paperwork like other loans or preparation company loans. 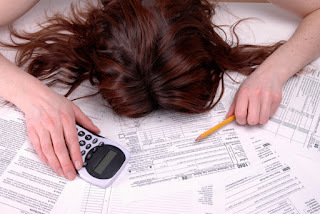 Most people dread tax time every year not just because the actual tax return processing is complicated and troublesome, but because it involves digging up receipts, bills, forms, and other financial records. No matter how well we think we’re staying organized, most of us discover we’ve kept track of only half the things we needed to, and spend days or weeks searching for the rest. Applying for online income tax loans requires only basic info about yourself, your job, and your bank account – 1, 2, 3, and done! After your return is filed and cleared, and your actual government refund is signed over to the tax-prep company. 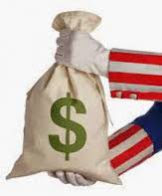 Income tax loans online with GreenLeafLoanGroup.com are like borrowing money from yourself – first you borrow and repay the funds you need, then when your income tax refund comes in from the government you get that money again – and this time you get to keep it. Times are tight for people all over the country – the economy is getting back on track, but it’s a slow process and in the meantime a lot of us find ourselves scraping the bottom of our bank account more often than we’re comfortable with. If you’re struggling to get all your bills paid on time, you’re not alone – but you should know a secret that a lot of your friends and neighbors already know about: income tax loans. No matter what time of year it is, whether you’ve filed your return yet or are still pulling it together and filed an extension instead – or whether you’re already looking forward to next year’s refund – you can borrow against that return now to keep your accounts all in the black, feed and house your family, and avoid late fees and damage to your credit! 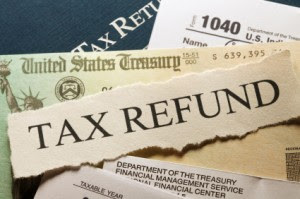 There was a time when the only way to get your income tax refund early was to have your return professionally prepared – and even then you were only going to get cash in hand a few days or maybe a couple of weeks early. But thanks to the technological advances that have brought us online loan processing, other lenders have been able to start to compete with those companies and changed the industry for the better! The process of applying and being approved for income tax loans is far simpler and more convenient than it used to be – now you can apply at any time of year right on your computer, tablet, or even smartphone! Just click the link to the website, fill out the short-and-sweet application form, and before you know it you’ll be looking at the lender’s approval notice right there in your browser! There’s no paperwork except for one single form you can sign online electronically – nothing to fax, print, mail, or have notarized. It’s all online, all electronic, and all completed in just minutes! 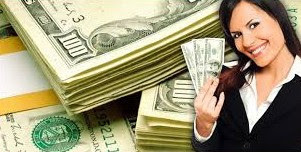 Income Tax Loans Get You Cash in as Little as 24 Hours! The old style of income tax loans weren’t much help if you needed cash quick to pay the electric bill or buy groceries. The new, online loans can put cash in your own bank account as soon as the next business day, depending on what time you apply and what the clearing process at your bank is. Once you sign off on the loan agreement the lender is able to disburse the funds directly to your bank; usually the clearing process takes place overnight and in the morning the funds will be in your available balance. Obviously if you apply for your income tax loan late on a Friday afternoon or over the weekend, or after business hours are over, it’s going to take an extra day. Even so, there’s no faster way to get a loan when you need it, and no more convenient way by far! Click the link to apply today and have cash in your account tomorrow!